It has hit that point in my life where I have decided I need a companion. No, I’m not asking for a ring, I’m asking for a DOG! Recently, every corner I turn in Boston is peppered with pooches (in sweaters!) and I just can’t resist the urge to pet every single one of them. And while having an office dog is awesome because I’m able to get my puppy-love fix at work (shout out to Lulu! ), I would do anything to get a dog of my very own. This is @hugothedoodle. 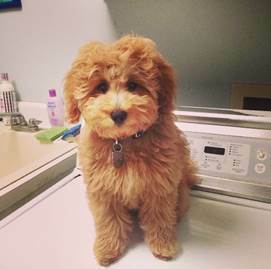 A mini Goldendoodle living in San Francisco. He lives right across from the Google headquarters and goes to the beach every weekend right by the Golden Gate Bridge. Essentially, he’s living the dream. 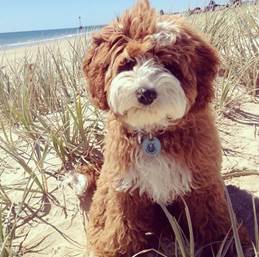 @ned_the_cavoodle is an Australian Cavalier King Charles Spaniel and Poodle, otherwise known as a Cavoodle. He is almost always wearing a bandana and is another beach pup. 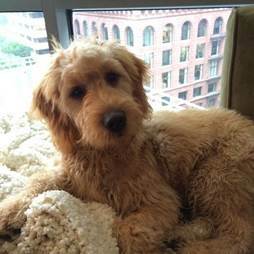 Another goldendoodle obsession I have is with @finnegan_theodore. Finn is only a few months old and already sponsored by Pupbox! 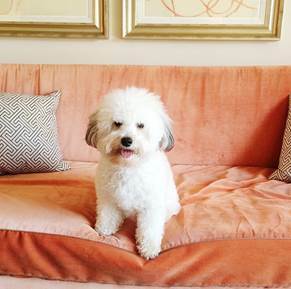 This is another fluffy pup named Hugo. 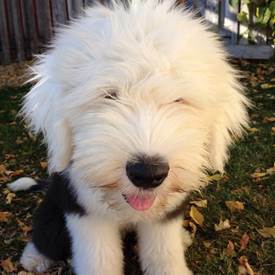 @CaptainHugo2 is an Olde English Sheepdog, it’s debatable if he can actually see where he’s going behind that fur.